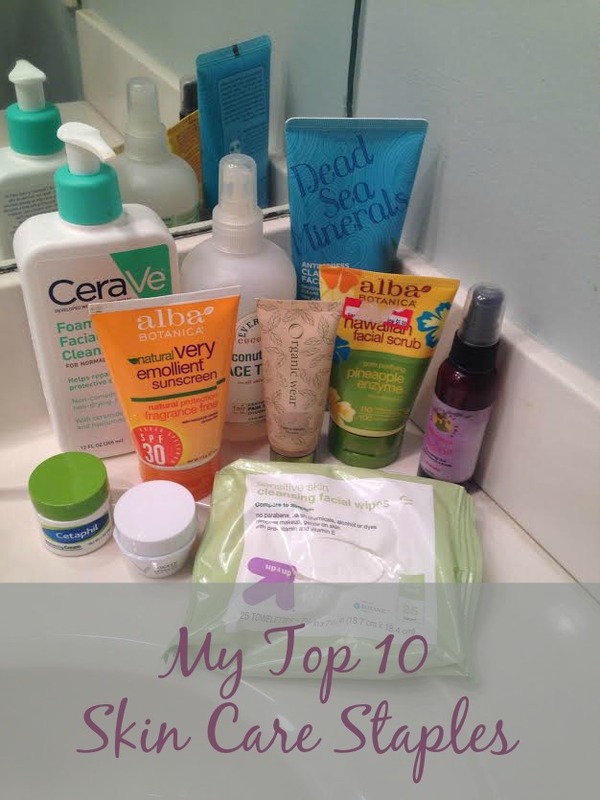 My Top 10 Skin Care Staples | Finding delight. 1. 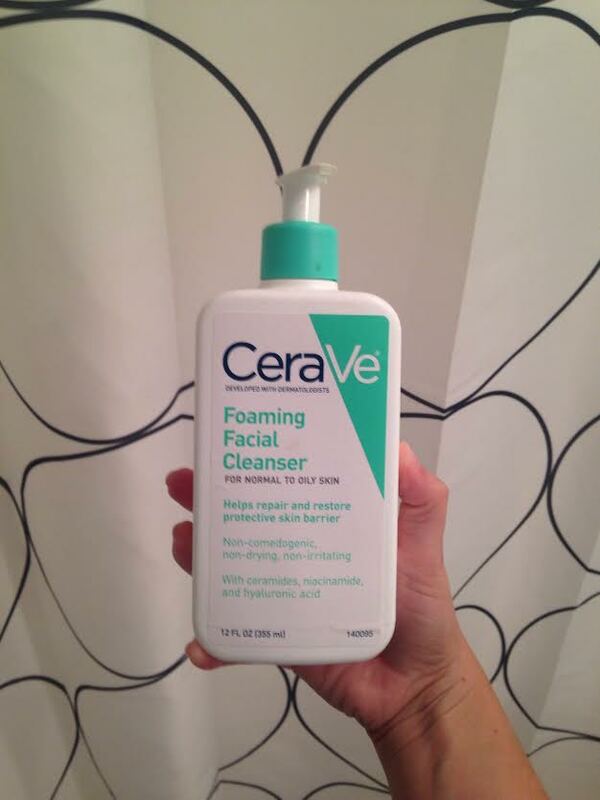 CeraVe Foaming Facial Cleanser I switched to this cleanser about 6 months ago and I think it would take something extra special for me to fall out of love with it. I use it to wash my face morning and night. It is so gentle, doesn’t dry out the skin, and leaves my face feeling super clean. 2. Alba Botanica Hawaiian Facial Scrub I mentioned this scrub in a monthly favorites and for good reason. 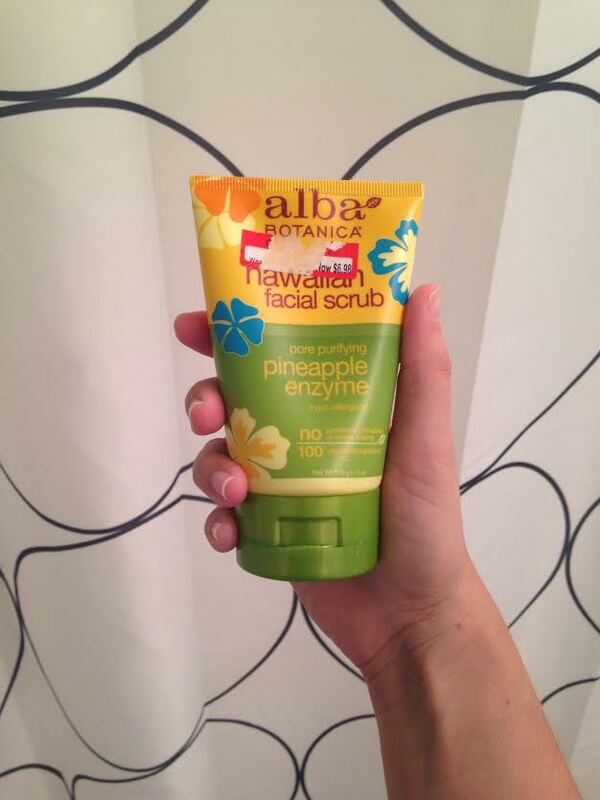 Alba Botanica is one of my favorite skin care brands and this scrub doesn’t disappoint! It contains gentle buffing granules to refine pores and leave skin feeling all a-glow. I feel like a lot of folks get a little addicted to scrubs. They just make your skin feel so soft as soon as you step away from the sink. But over-using can cause your skin to produce excess oils, having the adverse effect that you intended. So I only use this guy once a week. 3. 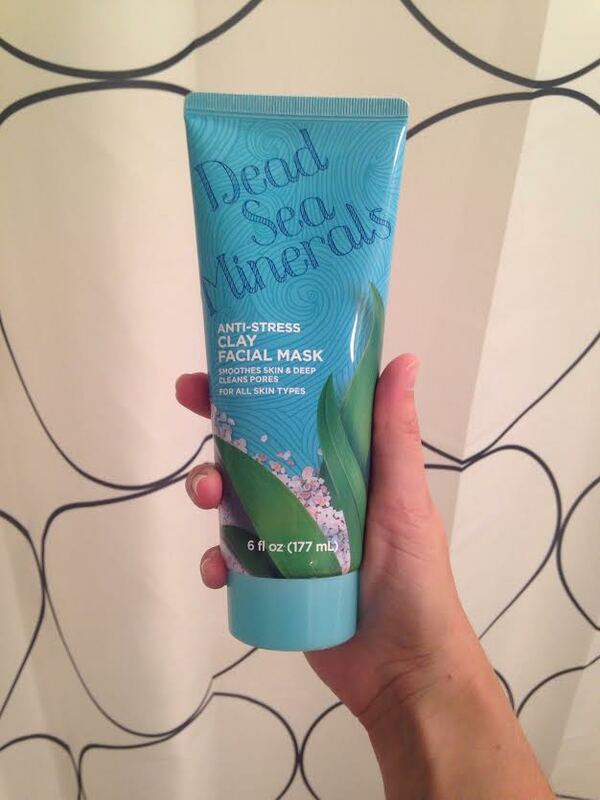 Dead Sea Minerals Anti-Stress Clay Facial Mask Similar to scrubs, I like to do a mask about once a week. I don’t actually recommend the mask pictured here (I’m just too stubborn to let a product that’s just okay go to waste). I bought it when I popped into CVS for a treat yo’self one-use mask. This full-size version was only two dollars more than the mini so I figured, “What the hey?” In reality, not my favorite. (And now I know…masks = worth investing in. Don’t waste your money on the cheapy-cheaps!) I would recommend this one or this one instead. But the point is, indulging in a face mask once in a while is awesome and my skin loves it! 4. 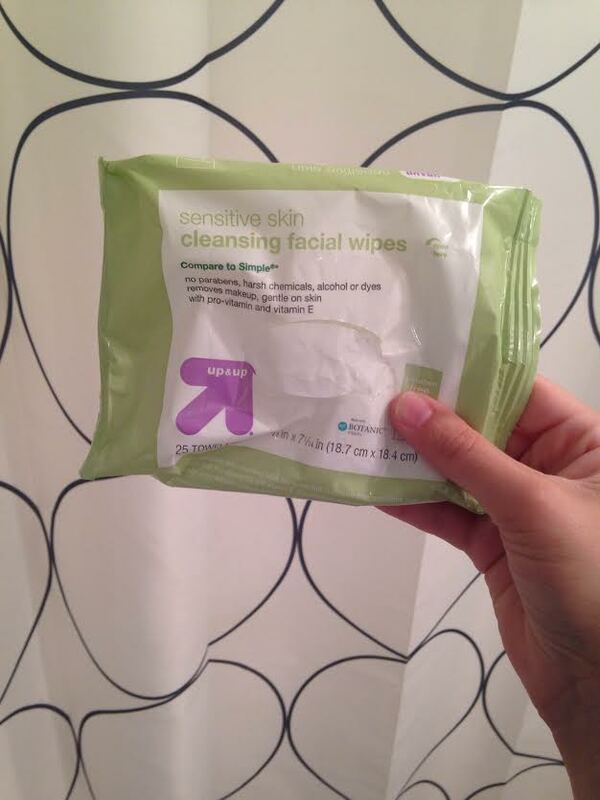 Up & Up Sensitive Skin Cleansing Facial Wipes Sometimes I get a little lazy and need to swipe off some mascara with out turning on a tap, ya feel me? Because I take my laziness very seriously, I’ve tried a whole bunch of these genius little wipes. And these are hands down my favorite. Check ’em out if you suffer from occasional bouts of laziness as well. 5. 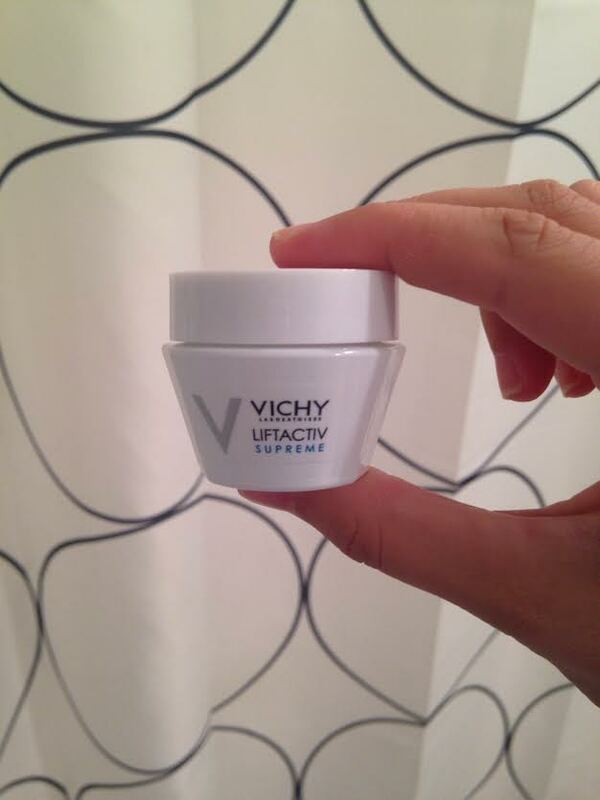 Vichy Lifactive Supreme As I mentioned in this post, this stuff is kind of amazing. I dab a bit of this cream on fine lines day or night as needed. It soaks right into the skin, without feeling wet or tacky, and has instant results. It smooths the appearance of fine lines and wrinkles while brightening and firming the skin. I don’t have a whole lot of experience with anti-aging products, but I’d totally recommend this one! 6. Cetaphil Mouisturizing Cream Since moving to South Florida, dry skin hasn’t been so much of a concern. (No winters!) But keeping a good drug-store moisturizer on deck for those days when my skin has endured a long day of sun and salt-water is generally a good idea. 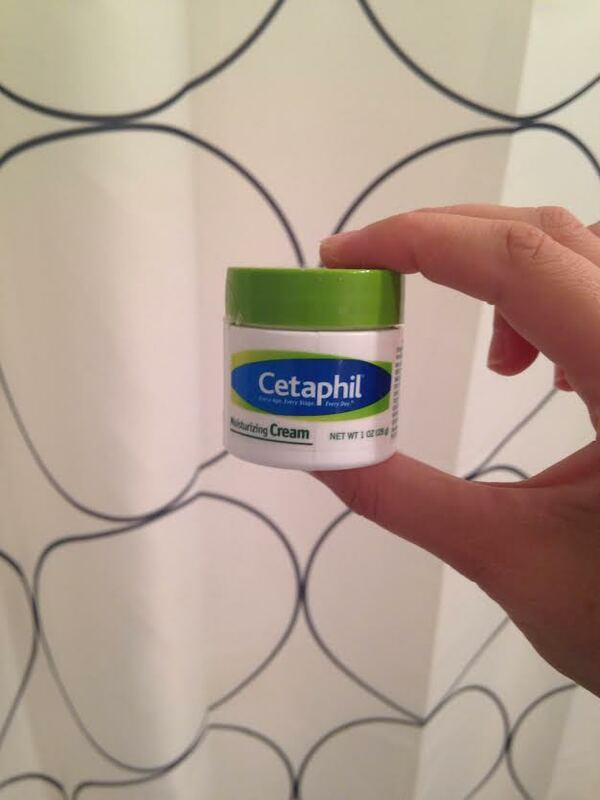 I used to swear by the drug-store dupes for Aveeno, but since receiving Cetaphil in an Influenster box, I’m a convert. I just pick up a sample size at Target so it can easily travel with me to colder climates. 7. 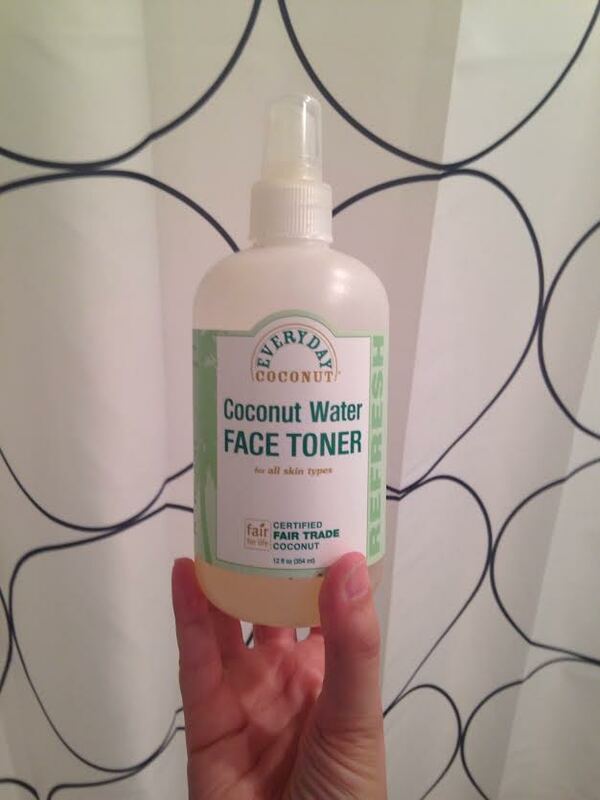 Alaffia Coconut Water Face Toner In lieu of a cream, like the one above, for everyday moisture, I love this coconut water face toner. It feels so nice to just mist it on, especially in this heat, and it smells good too! Bonus: It’s made from certified Fair Trade ingredients. Woohoo! 8. 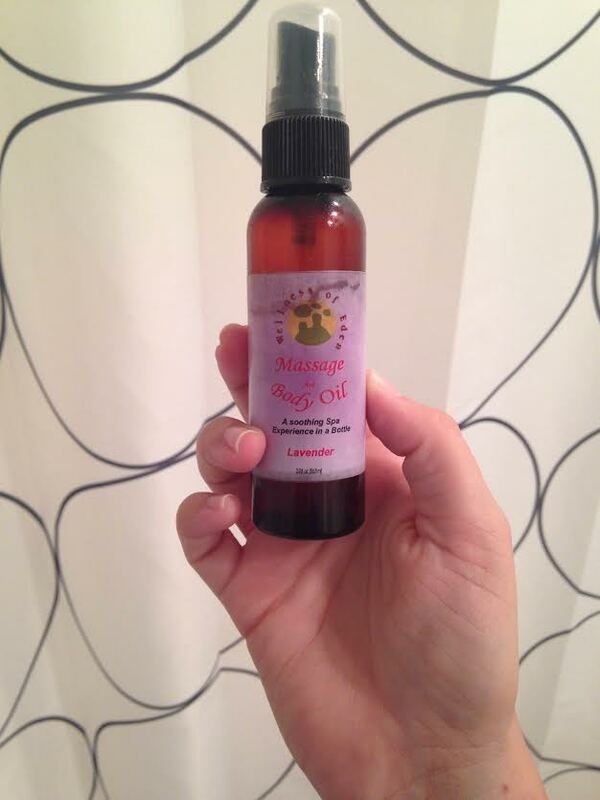 Wellness of Eden Lavender Body Oil For moisturizing my body, I love using oils because they soak right into the skin. To me, lotions tend to feel like they’re hovering on top of the skin and can feel greasy. I specifically like to use lavender because I shower at night, and nothing will transport you to sleepytime like a little post-shower lavender aromatherapy. 9. 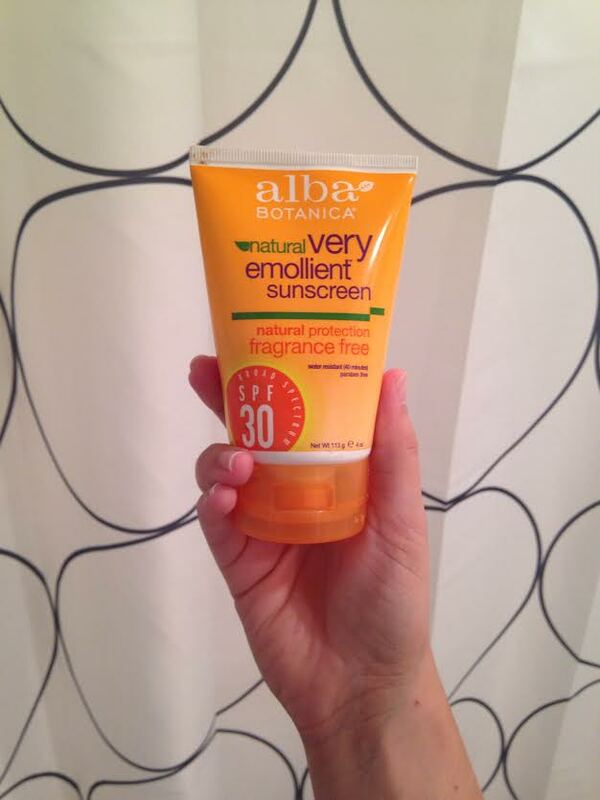 Alba Botanica Very Emollient Sunscreen SPF 30 More Alba Botanica! I’m a half German, half Irish girl living in a very tropical world. Daily sunscreen is a must. While I tend to use a more sport-oriented sunscreen when we go to the beach or pool, I use this one on my face and shoulders for day-to-day adventures out into the great outdoors…like walking through my parking lot to get to the car. 10. 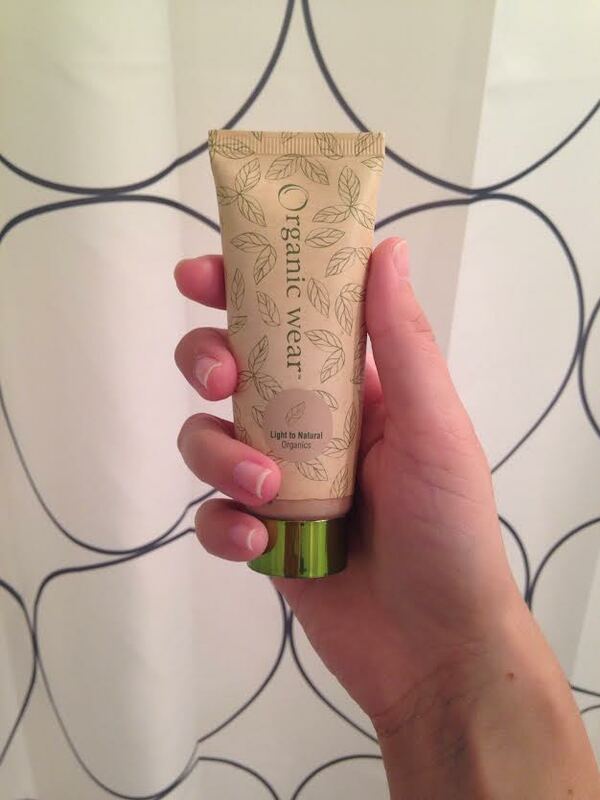 Organic Wear Tinted Moisturizer For a touch of color correction and concealing this little tube has been my go-to the last few months. It has a very light formula that’s great for sensitive skin while still providing enough coverage to even out skin tone. I’ll definitely repeat purchase this brand! 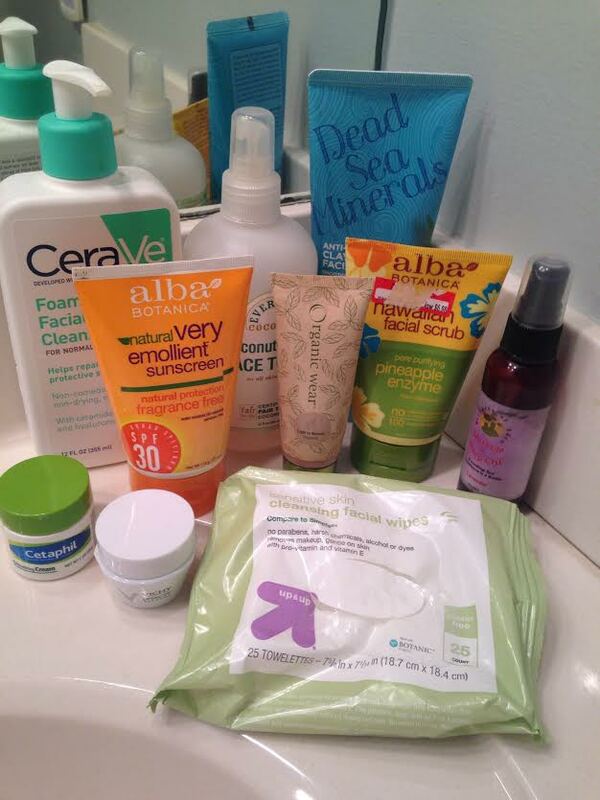 What skin care staples do YOU swear by? Have you tried any of the products listed above? Any you’d like to add to your repertoire?